Buildings made of brick, tiles and cement are ubiquitous throughout the city of Recife, and the North-East of Brazil. 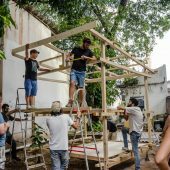 While there exists a strong local building culture built around the use of these materials there are also inherent limitations in such as a slow-paced, piece by piece, on-site construction technique, and spatial flexibility is limited. Pre-fabricated timber-framed modular construction has not been widespread in the area, and presents potential for architectural designed spaces to be produced in quantity and made available to clients who can afford to employ the services of an architect, as well as those who can not. 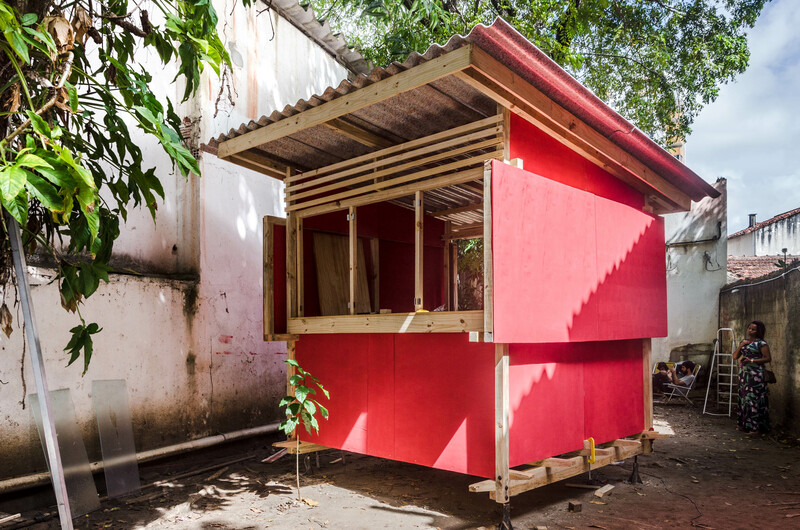 The CUBITO© (tiny cube) is proposed as a series of usable, full-scale prototypes to explore and refine demountable modular designs that respond to the climatic conditions and building use requirements of the region. 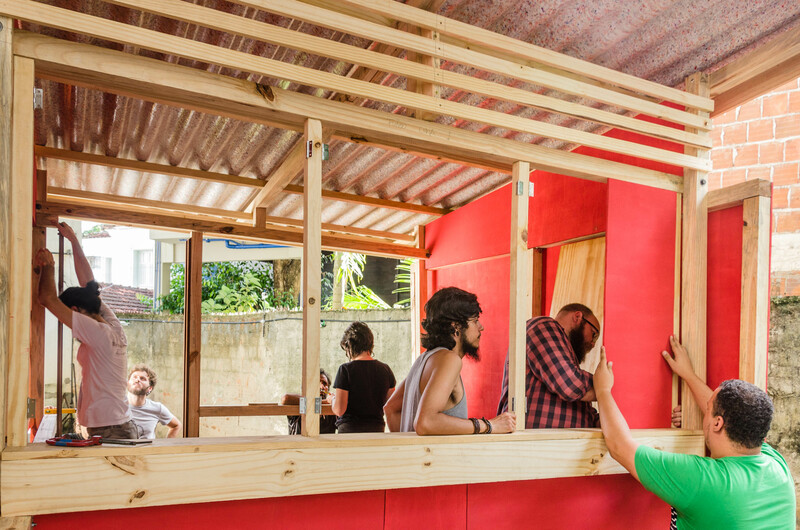 A 6 day workshop was held from the 2-7 July 2018 to build the first prototype at the O Norte – Oficina de Criação’s workshop. 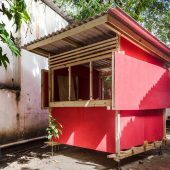 A bolted pine frame set on adjustable metal feet was clad with marine ply board walls and recycled plastic corrugated roof sheeting. Construction at full scale helped to develop junction solutions and an understanding of the scope of work involved. There were many learning opportunities for the team of (mostly) architecture students, many of whom were building for the first time. Having to solve problems on the spot, and adapting the designs as issues arose in construction were particular areas which offered challenge and growth to the students. 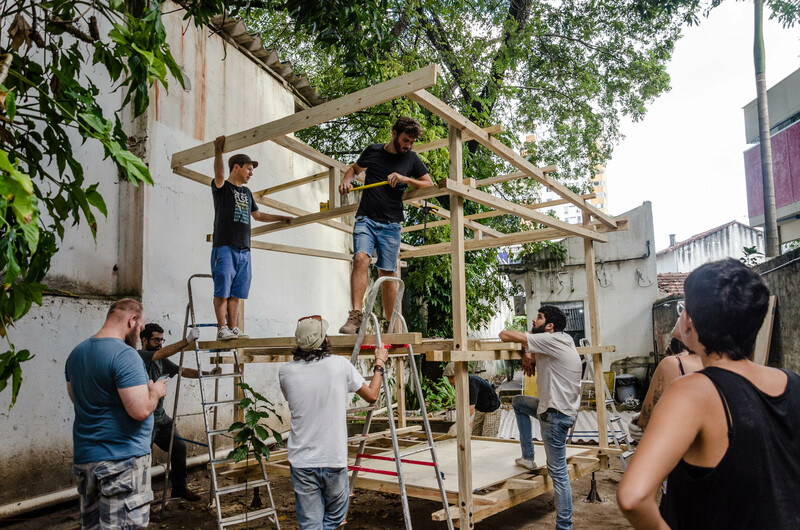 The performance of the first CUBITO prototype will be monitored over time and is planned to be demounted and rebuilt for a social purpose to combine field testing and helping those in need. 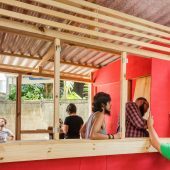 Research Question: Modular demountable timber construction design that responds to the climatic and social context of the North-East of Brazil.